Dreams do come trueâ¦direct waterfront, western exposure, expansive views and deep water dock. Your own private oasis is calling! Customized colonial, updated inside and out. Wake up every morning to âwowâ as the light dances across the water. Truly a home for all seasons! Summer fun begins here with boating, swimming and fishing just out your back door. Candlewood Lakes' premier location for 4th of July fireworks with ample guest parking! Custom stone walls and walkways create an easy path to the lake, dock, boat launch and lawn. Start your morning in the bright sunny kitchen or the charming family room (included in square footage) with stone fireplace as you watch the sunrise transform the surrounding panoramic vistas. At dayâs end, breathtaking sunsets paint the sky. Week end getaway or full-time living, this one has it all! Updates include kitchen, baths, flooring, septic, roof, windows, siding, covered stone patio, Trex deck, heated stairs to garage and artist studio, 200 amp electric service and more! Ample parking and quiet cul-de-sac setting complete the package. 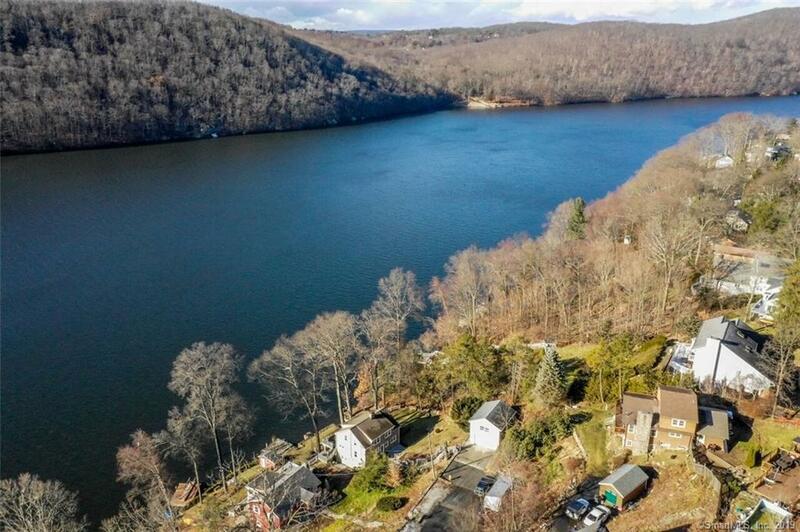 Candlewood Lakeâs most convenient location: minutes to shopping, restaurants, schools and an easy hop to NYC. Directions: Gps Friendly: Hayestown, Left On Acre Drive, Left On Hy-Lo, Right On Waterview To The End Of The Cul-De-Sac. Lots Of Parking By The Garage! Laundry Room Location: Spacious W/Half Bath & Exterior Doorway.